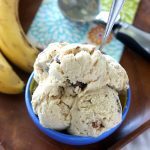 Creamy peanut butter and ripe bananas are combined with mini chocolate peanut butter cups in this recipe for chocolate peanut butter banana ice cream. Rumor has it that Elvis Presley’s favorite comfort food was peanut butter and banana sandwiches. If that’s the case, he would love this ice cream. I crave ice cream when the weather turns hell hot. Unfortunately, I don’t possess the metabolism that will allow me to eat ice cream for every meal. However, last week I couldn’t stand it anymore. 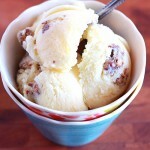 A frigid bowl of homemade ice cream was consuming my every waking thought. 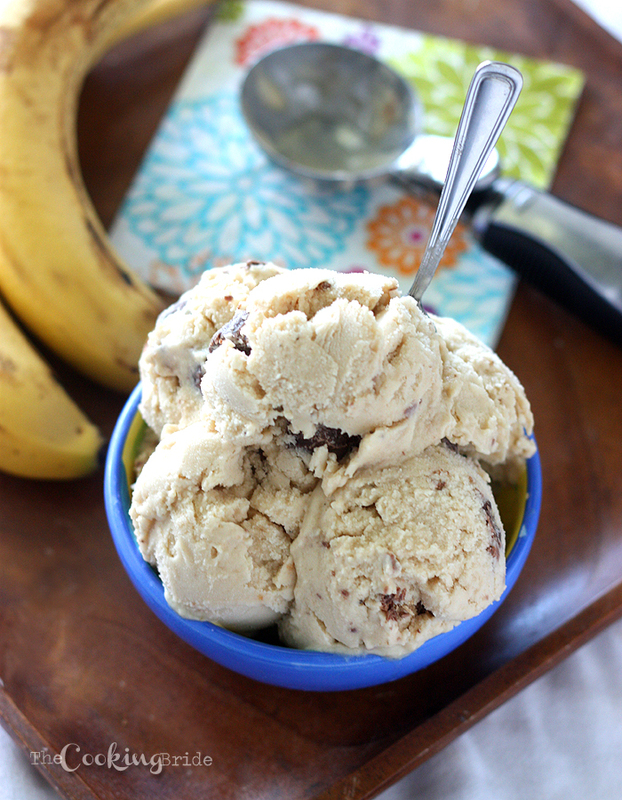 The Husband offered this idea several months ago for chocolate peanut butter and banana ice cream during one of our drinking brainstorming sessions. I knew it was high time I make this a priority. Bananas don’t last long in our house. My boys love them. Rarely do they make it to the ripe stage. However, when they do, I don’t throw them out. I toss them in the freezer. Sure, they turn black and when they thaw they are a slimy mess. But they are perfect for something this. After digging through my freezer, I found three forgotten bananas lurking within the frosty depth. Homemade ice cream would be mine at last. 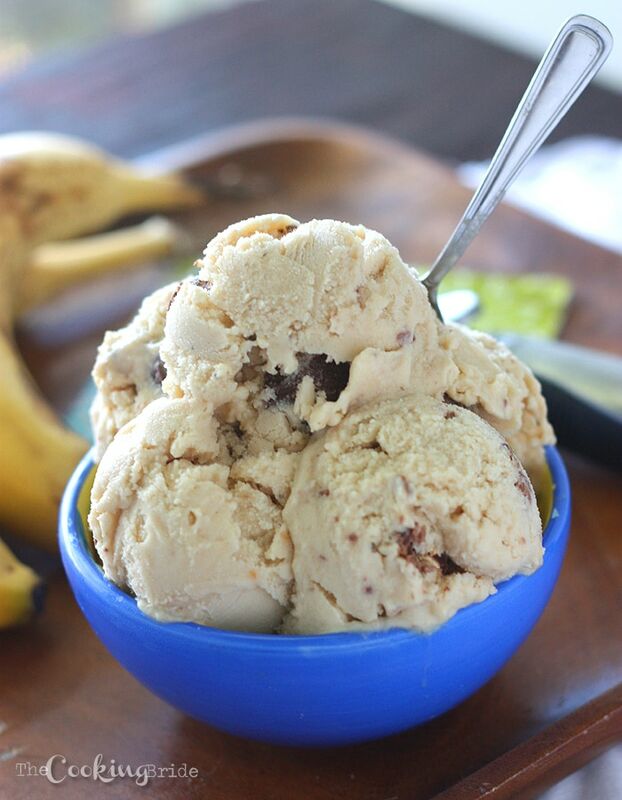 What goes better with peanut besides bananas? Chocolate! I took the peanut butter component of this recipe to the next level by tossing in some mini peanut butter cups. The flavors are distinct, yet they complement each other so well. 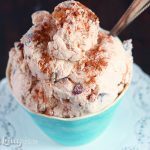 Along with homemade strawberry ice cream and The Husband’s favorite butter pecan, this ice cream flavor will definitely be added to the rotation of our favorite summer homemade ice cream recipes.